Amazon has launched it long awaited tablet, the Kindle Fire. The Kindle Fire is a Android powered tablet with a 7-inch (1024 x 600 resolution) screen, a dual core processor, 8GB of internal storage which uses WiFi and Bluetooth for connectivity. The Android operating system on the Kindle Fire is heavily customized by Amazon. The Kindle Fire does not have 3G connectivity, GPS, cameras and a mic. From a hardware standpoint, it does not compete with the Apple iPad 2, RIM's PlayBook or any of the Google Android Honeycomb Tablets. It makes no pretense of being a productivity device, and squarely defines itself multimedia entertainment device which hardware wise is more of a competitor to the Nook Color. As a multimedia device the Kindle Fire offers much more than the Nook Color and does take aim at Apple iPad market with its access to Amazon Books, Movies, TV shows, music and Android apps. While Amazon's Kindle Fire does not compete against Apple iPad 2 in terms of hardware, it does so content wise. At US$199 the Kindle Fire takes aim at the iPad for US$300 less. The Kindle Fire also offers an interesting web browser service with Amazon Silk, which seems to offer a server side compression, similar to what Opera provides for its browser, which Amazon promises will give users an incredibly fast experience. This is the first device specific service implementation of that kind of service that I know off. I do not know if the Kindle Fire will affect Apple iPad 2 sales. I am sure a fair number of people who were thinking about buying an iPad 2 will look at Amazon's offer and will consider it a better deal. 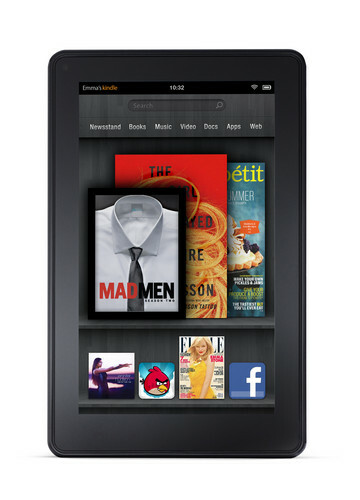 What the Kindle Fire is sure to do is broaden the tablet market. It is the first Android tablet done correctly. The Apple iPad was released as a multimedia device. With the popularity of the tablet, Android Honeycomb tablets, the iPad 2 and RIM's Playbook, have been marketed more and more as the modern personal computer heralding the "post-PC era". Newer tablet designs replicate the technology already found in our mobile phones. Some Android tablets even offer voice call and SMS functionality. Other Android tablets designs try to replace laptops. Biting into this "tablet frenzy", tablet manufacturers seem to think the consumer will be willing to pay nearly any amount of money for a shiny new tablet for as long as it bundles it with more and more cutting edge features. The Kindle Fire makes a nice addition to your smartphone and personal computer and is priced as an accessory device. While I expect the Kindle Fire to take a fairly large bite off the Apple iPad market share, it really will put more pressure on Android tablet manufacturers. The Kindle Fire redefines the tablet as to what it originally was, a dedicated multimedia platform and not the overpriced post-PC device many have been making it out to be. In the end, the post-PC era is not about replacing the PC, but just that the PC really is no longer the only game in town as a tool for web access. It really means little more than that. All the rest is tablet hype. Amazon seems to understand this better than anyone else right now, and it will sell millions of these things.